Now this gift is just undoubtedly cool. With an exquisite, vintage appearance and beautiful design, this Sojourner Keyboard with Elizabethan typeface is reminiscent of an old-fashioned era, when style and functionality went hand in hand. Whether for historians, home designers, or just people with great taste and a love of all things vintage, this is a gorgeous gift! 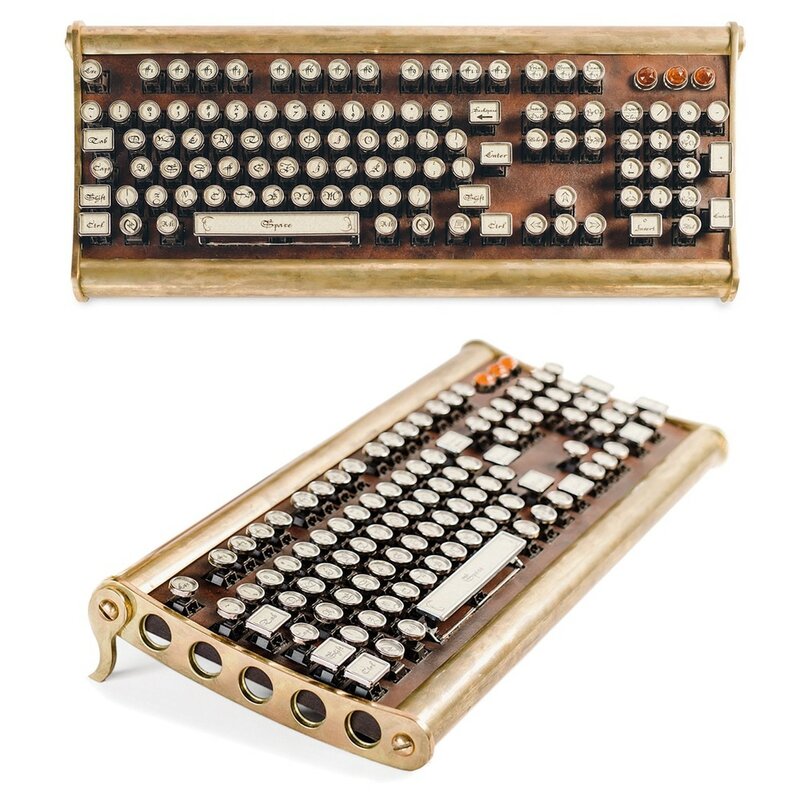 Details include handcrafted, polished brass edges with artificially tarnished keyboard detail.